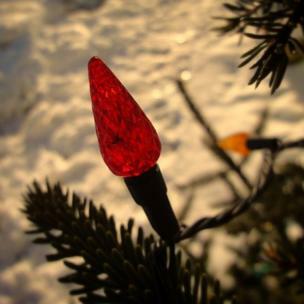 Readers' photographs on the theme of Christmas lights. Each week, we publish a gallery of readers' pictures on a set theme. 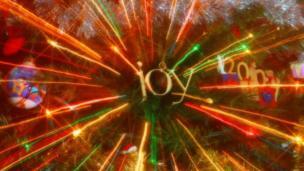 This week it is "Christmas lights", and we begin with a picture by David Swales. 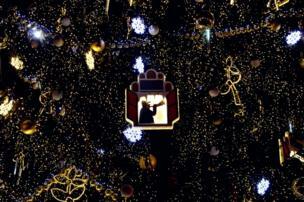 Mh Zhou: "A huge Christmas tree stands on the Old Town Square in Prague. There are so many glittering and colourful decorations on it. I was attracted by a unique window-shaped decoration. It's the highlight of the Christmas tree." 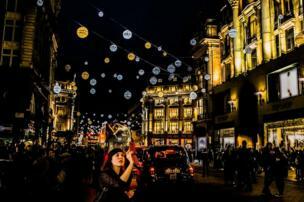 Tom Edwards: "I took this of London's Oxford Street Christmas lights. I like the idea of photographing someone also photographing the Christmas lights and thought the girl's expression captures the moment well." 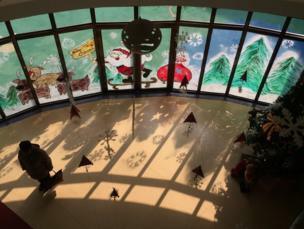 Siew-Tong Foong: "I was waiting for my kids in their kindergarten when the rare afternoon sun streamed through the Christmas themed glass panel painted by their hard-working teachers." 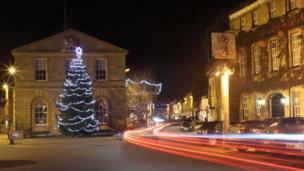 Nigel Walker: "Christmas lights in the town centre of Woodstock, Oxfordshire." Lucy Qiuyi Wang: "I am a Chinese student and this is my first winter and Christmas in this great country. Winter in London is wet, so I can always see puddles. 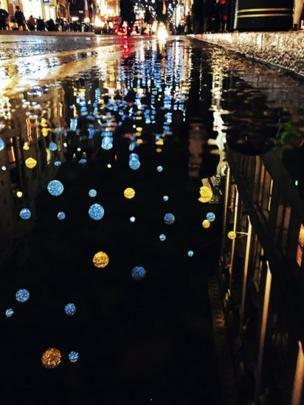 Puddles make things looks very different from the reality." 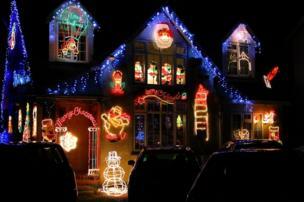 Stuart Scott: "I was waiting at some temporary traffic lights on the way to Twyford and noticed this wonderful Christmas display of lights. Looks like some happy occupants there." And finally, a picture by Philip Watson. Next week we look back at the best photos from the past year. The next theme is "a new year", and the deadline for your entries is 6 January. If you would like to enter, send your pictures to yourpics@bbc.co.uk. Further details and terms can be found by following the link below this gallery or go to http://www.bbc.co.uk/inpictures and look for Share your photo.